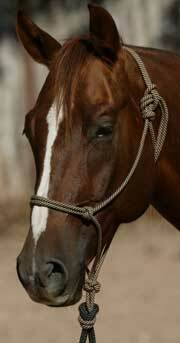 *Halter does not come with lead rope. Lead must be purchased separately. This halter is made from one continuous length of 5/16 polypropylene, 16 strand diamond braided rope that is of medium firm lay. These halters hold their shape for easy use and are a popular favorite.